Il sistema di montaggio zavorrato da tetto GOOMAX è realizzato in alluminio AL6.005-T5 e utilizza bulloneria in acciaio inox. Bello e restente, ha una vita di servizio di oltre 20 anni. È utilizzabile per la produzione elettrica residenziale da KW a MW. Questo sistema è stato progettato specificamente per i tetti non perforabili, fissando i pannelli senza danneggiare il tetto piatto. È un sistema economico che non necessita di alcuna perforazione del tetto, è costruito in alluminio leggero e resistente e viene fornito con componenti preassemblati. è semplice e veloce da installare e sono necessari solo pochi attrezzi. • With our own manufacturing factories established in 1995 for aluminum & Stainless steel components, allow for most cost effective solutions. • Components: Rails, Splice kits, Clamps, Ballast Trays, Back Wind Shield etc. This racking system has passed tension test and compression test, proven to be of high stability and reliability. Safety first and Quality-oriented is our production philosophy. This system is designed in accordance with standards TUV, AS/NZS 1170 and JISC8955:2008, and is accredited with ISO Quality Management System Certification, so quality is highly ensured. Xiamen Goomax Energía Solar Fotovoltaica Co, Ltd. es una empresa de tecnología avanzada en la fabricacion de productos en el campo de la energía solar PV, nos comprometemos a la investigacion I+D, fabricacion y comercializacion para la solucion de montaje de Sistemas Solares mas fiable y eficaz. Desde el establecimiento los productos de Goomax Solar han tomado el liderazgo en el mercado mundial, con productos vendidos en mas de 100 paises y regiones nos hemos convrtido en el mayor exportador, fabricante y comerciante de productos solares PV. Goomax tiene sus propias bases de fabricacion establecidos en 1995, estas incluyen fabrica de Aluminio fabrica de Acero Inoxidable, cubriendo un area de 120,000m2. Desde nuestro establecimiento Goomax vee la Calidad como la vida de la empresa. Desde la seleccion de los materiales hasta la inovaccion en el proceso de produccion, implementando estrictos estandares de calidad Internacionales, con la gerencia supervizando directamente el Control de Calidad, tomamos cada paso seriamente asegurando nuestros productos a la perfeccion. Sinceramente esperamos su visita que podamos cooperar juntos con beneficios mutuos. Goomax Solar has set up internationalized Research and Development Department with highly educated elites, which includes 12 Doctors, 18 bachelors. Goomax Solar established a strategic partnership with Department of Physical Sciences of Xiamen University. We regard it important to introduce in advanced equipments and bring in highgrade, professional, highly talented people. 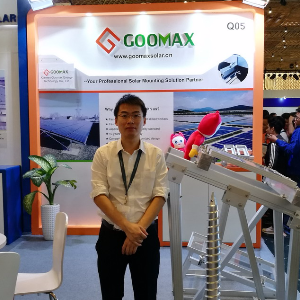 Goomax offers a series of ground mounting system, roof mounting system, and so on, and always keep leading status on design of solar PV mounting structure and system performance. Goomax covers an area of over 120000 square meters, having our own laboratory center, aluminum extrusions production plant, stainless steel production plant, oxidation production lines, spraying production line, casting line, full-automatic production line, mould plant, galvanizing plant, and so on. Goomax has separately set up two large production bases in Nan’an, Fujian Province, and Foshan, Guangdong Province, currently having total staff over 1500, with annual capacity of 800MW and 600MW respectively. 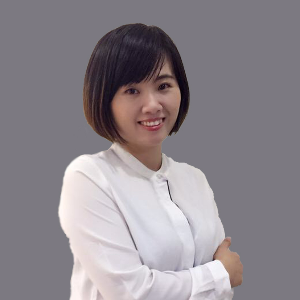 Goomax products have been accredited with multiple international and domestic authoritative certificates, such as UL, TUV, AS/NZS1170, GOLDSUN, etc. Goomax has designed & developed various mounting systems with our own patents, which are so excellent that have been highly recognized by many customers. Since establishment, Goomax has been persisting in the management tenet of "CUSTOMER-oriented, PEACE-loving, HONEST-based, PRAMATIC & Solidarity", sticking to scientific development concept and strict quality control. Goomax has been granted with Quality System Certification ISO9001:2008 and Environmental Management System Certification ISO14001, and was successively accredited as "Fujian Provincial High-tech Enterprise", etc. Since establishment, we have been adhering to strict quality control and honest business philosophy. Goomax has been granted with Quality System Certification ISO9001:2008 and Environmental Management System Certification ISO14001, and was successively accredited as "Fujian Provincial High-tech Enterprise", etc. Our products have successfully passed lots of certifications such as UL, TUV, AS/NZS1170 and Golden Sun. 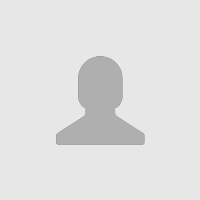 Goomax owns many patents, our top quality is well known in the industry.